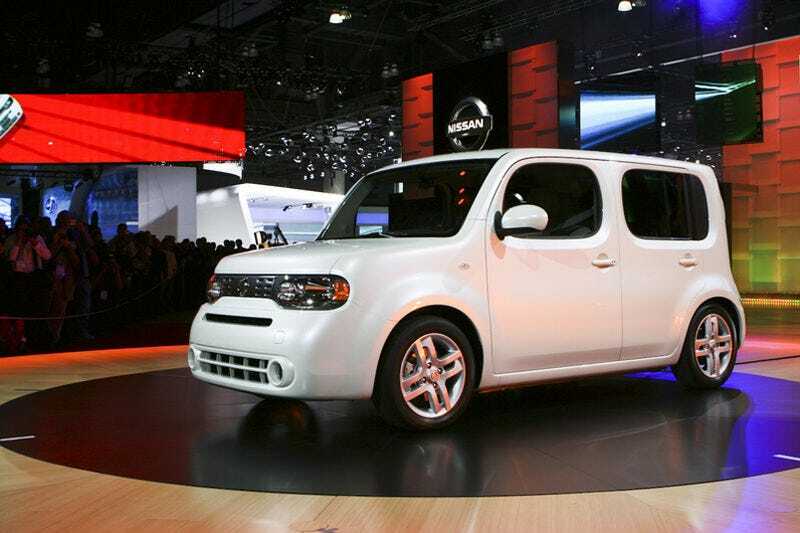 The 2009 Nissan Cube will get a retail price of just $13,990 when it goes on sale this year. What do you get for $14K? We're assuming this price is for the entry-level Cube 1.8, which will come equipped with a 122-horsepower, 1.8-liter DOHC inline four-cyliner engine mated to a 6-speed manual transmission (the CVT is probably more). As you add on the available features it's likely to go up at price, though we're impressed with the low base-model pricetag as it's likely for the car we'd be interested in driving.